Revathi Balakrishnan, a gifted teacher at Patsy Sommer Elementary School, was also named 2016 Texas Elementary Teacher of the Year. 53-year-old Austin-based Balakrishnan who has taught in the districts talented and gifted programmes for nine years. Currently teaching math classes in third through fifth grade at Sommer, Balakrishnan, who was honoured last week, will now represent Texas in the National Teacher of the Year competition. She is from Chennai, Balakrishnan was a systems analyst with Liberty Mutual, managing databases and programming for about 12 years before becoming a teacher. Balakrishnan is a talent and gifted specialist teacher at Patsy Sommer Elementary School in Austin, Texas, and was chosen as the Texas Teacher of the Year by the Council of Chief State School Officers as part of the National Teacher of the Year Program. 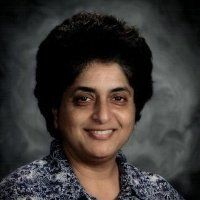 In addition to being chosen to the CCSSO honor, Balakrishnan in 2016 was named Patsy Sommer Elementary School Teacher of the Year, Round Rock Independent School District Elementary Teacher of the Year and Region XIII Elementary Teacher of the Year, as well as Texas Teacher of the Year and Texas Elementary Teacher of the Year by the Texas Association of Supervisors and Administrators. The University of Madras and Northeastern University graduate, earning a bachelor’s and master’s in economics, respectively, was also honored in 2011 by the Texas Association for Gifted and Talented as the Region XIII Gifted and Talented Teacher of the Year. "Im an Indian-American, so I think the Indian community is feeling a lot of pride and joy," Balakrishnan said, adding that about 30 per cent of the students at Sommer Elementary are Asian or Indian. SBI has proposed merger of its five associate banks and newly created Bharatiya Mahila Bank (BMB) with itself.